The Trailer For Lifetime’s Aaliyah Biopic Features Music By…Iggy Azalea? We live in an age where media that we never wanted nor asked for is shoved down our throats. Some gobble it right up, while the rest try to forget it ever happened. In a recent example of questionable movie content, Lifetime has decided to release a controversial biopic depicting the life of the late Aaliyah Haughton. For those of you who are old enough to remember, Aaliyah was a rising star who rocked the world both on stage and on the big screen. Back in 2001 though, she was in a tragic plane crash that took her life and therefore ended the chances of her reaching her full potential. Now that thirteen years have passed, Lifetime has decided it’s time to release a biopic about her. However, they’ve hit a few speed bumps along the way. First, they had to swap out their original leading lady for Alexandra Shipp (which, to be honest, isn’t much of a problem considering they look fairly alike), and most importantly, they were not granted the rights to any of Aaliyah’s music by her family. 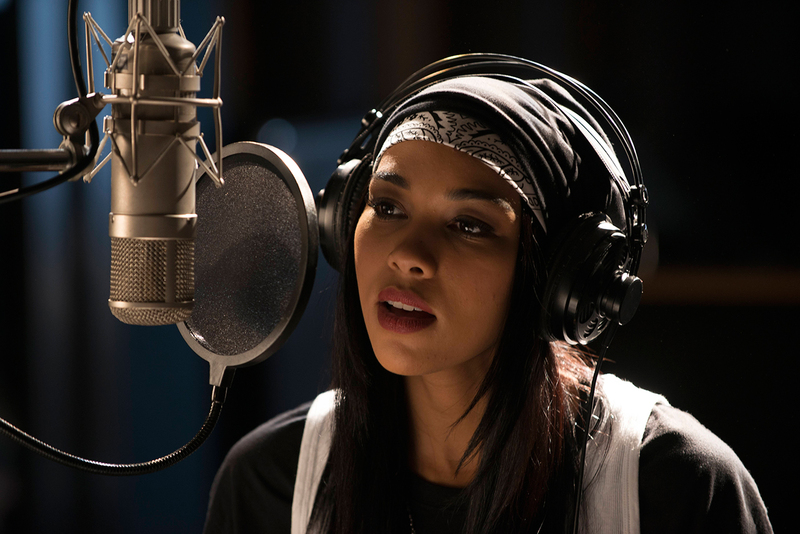 Yes, a biopic about Aaliyah will not feature any of her original music. Her family did not wish for a movie to be made about her, which is why they did not grant the rights to her original songs. According to reports, though, they were able to obtain rights to re-record a few of her hit songs from a record label, so we will likely hear those in the movie. Aaliyah: The Princess Of R&B will be released on Lifetime November 15.